The increasing demands of skilled MBA professionals have motivated people towards joining a degree program in management. 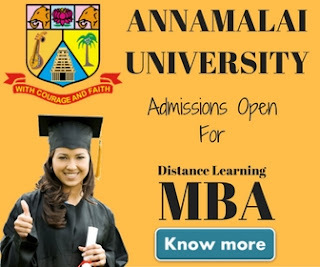 There are 3 options available for people looking for getting an MBA degree i.e Regular MBA, Correspondence MBA or Distance Learning MBA & Online MBA. Correspondence MBA courses are very popular among working professionals. People prefer to join a job along with a correspondence MBA so that they can get a promotion just after completing their higher education. Private sector is getting more demanding in terms of employee qualification & working experience because of high level of competition in the market. HR Department generally prefers to hire employees who have a business degree along with at least 2 years of working experience. A Distance learning MBA programme is always a better option for working executives & people who don't have time and money to join a regular course. I've seen many people asking "Is Mba Through Correspondence Has Value In Market". If you ask me this question my answer probably would be YES, It does have a Value. A Distance MBA has a equal value as a full-time MBA has because ultimately both of these courses offer you a University recognized degree which is acceptable across all industry. That's true you don't get learning environmental as you might have got if you would have joined a regular course but this can be negligible if you join a job along with your correspondence MBA. All private organizations including MNC's prefer a candidate who has a good experience in the required field, so people with MBA Degree + Experience always get the preference. 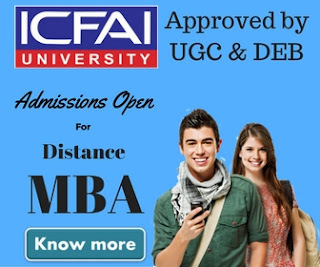 Based on the facts mentioned above, Correspondence MBA from a recognized University like IGNOU, IMT Ghaziabad, Symbiosis (SCDL), AMITY University, Lovely Professional University, Sikkim Manipal University, ICFAI University, Annamalai University etc really has a value & helps candidate securing a better job or promotion.